We have gathered together a list of our favorite supplies and products for Persian cats and other cat breeds. Most of the products on the following list come from Amazon.com, Castle Baths (natural products), Life's Abundance (healthy, natural cat and dog food and products), Pet Edge, Petco, Drs. Foster and Smith, PinkPawPal and 1-800-PetMed. Pelaqita Persians is an authorized representative of Life's Abundance and is an Amazon Associate and I am compensated for qualifying purchases. I prefer to order most of our cat supplies on-line as it saves time and quite a bit of money. 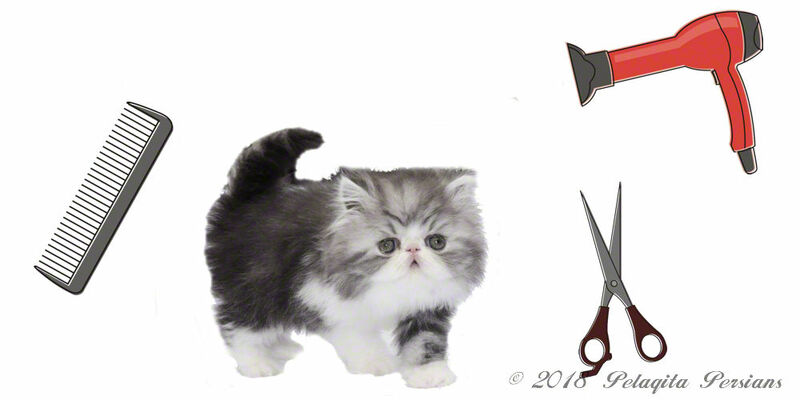 Have fun with your new Persian cat or Persian kitten. Books - a list of books for any cat lover and owner. Charlie's Critters Beehive Bowls - I absolutely love this product. It helps keep the Persian coat beautiful longer by avoiding water stains and spills on the chin and neck area. Beehive Ceramic Water Bowls. This is a must have and the cats enjoy using these bowls. Everything is 100% handmade by Charlie in the USA, lead free, dishwasher, and microwave safe. It helps keep the Persian coat beautiful longer by avoiding water stains and spills on the chin and neck area because the opening is so small and only allows for the Persian to stick its tongue in to lap up the water. #014 BUTTERCOMB (4 1/2" Styling Comb, All Coarse) by Chris Christensen - This is my personal favorite!!!! 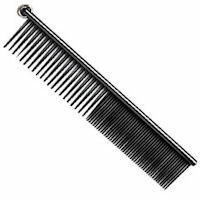 This comb takes out the dead hair without removing healthy coat. Anti-Static Pet Comb Medium/Coarse - Sometimes called a Greyhound comb. Please remember that brushes should not be used as a daily grooming tool as a brush does not get down deep enough to get those tiny mats in a Persian cat's cat. We use a brush for "fluffing" at the show hall. Chris Christensen Oval Pin Brush / Medium 27mm - Use one to apply powder and use a second brush to fluff the coat. NEVER brush a Persian cat's coat as it will not remove mats. Brushes should be used only for fluffing a coat. 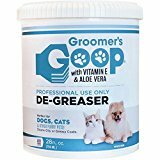 Groomers Goop Creme for Oily Coats, 14 ounce can - We absolutely love this product. This is the first step in degreasing a Persian cat's coat. The first step in the bathing process in all colors of cats and dogs. 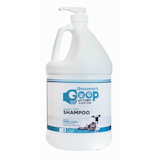 Use this degreasing shampoo as a primary shampoo for those pets that are low-white or other colors. 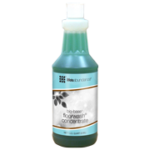 Degreasing Shampoo quickly and easily removes oils, grease, and dirt. Use this shampoo as a regular shampoo for any color other than whites, calicos and bi-colors. Great for tabbies, smokes, torties, shadeds, etc. Orvus - We absolutely love this product. After degreasing the cat, we use this shampoo/paste as the second shampoo and degreaser in our bathing routine. This is a package deal specially brought to you through Anna Products at Purrinlot. It is a set of everything you will need to get started as one who wants their pet to look like a star! Tropiclean Hypo Allergenic - Papaya Plus 2 in 1 Pet Shampoo, 1 Gallon - We use this product to wash our cats. It is the last shampoo that we use in our bathing process. We use this shampoo to bathe our cats. This shampoo is a good all around shampoo and conditioner! 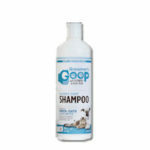 Revitalizing Shampoo for Dogs & Cats - Pamper your precious pet with Revitalizing Shampoo. The revitalizing botanical infusion of organic rosemary and sage along with nourishing essences of coconut and palm kernel oil will naturally cleanse and beautify your pet's coat as the luscious scents of mango and kiwi mingle with energizing citrus notes to bring out natural shine. Its moisture activated odor-fighters react immediately to absorb and neutralize tough pet odors. Bath Fresh Mist - A rich and potent conditioning mist naturally infused with a harmonizing blend of certified organic herbal extracts, pure plant botanicals and natural fruit extracts that assists with detangling as well as nourishing the coat's natural condition, leaving it soft, luxurious and delicately fragrant. Rinse Free Formula! 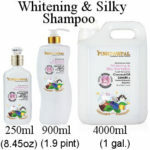 The Whitening and Silky Shampoo by PinkPawPal brightens and softens coats on cats and dogs. For stubborn tear stain removal use with the Wink White Powder. The Facial and Kitten Shampoo by PinkPawPal is safe for your pet’s eyes. 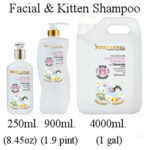 Gentle formula for sensitive skin and young kittens (0 to 8 weeks old). PinkPawPal Degreasing Shampoo - Use this degreasing shampoo as a primary shampoo for those pets that are low-white or other colors (tabbies, torties, shadeds, silvers, goldens, smokes, etc.). Shampoo quickly and easily removes oils, grease, and dirt. Queen Helene Cholesterol Conditioning Cream - 5 lb - We use this product to restore dry and brittle coats. Treats and conditions dry and damaged hair. Shampoo coat, apply a generous amount of this cream and leave in for about five minutes. Rinse REALLY, REALLY well. Aussie Moist Conditioner, 13.5 Fl Oz - Moist Conditioner: Quenching moisture for parched hair. With a Touch of Natural Australian Aloe and Jojoba Seed Oil. We use and recommend this product as well. Nourishing Conditioner by PinkPawPal Professional Grooming Products for Cats and Dogs - The Super Soft Nourishing Conditioner by PinkPawPal maintains a healthy and soft coat for dogs and cats. We use and recommend this conditioner. Chris Christensen After U Bathe Final Rinse, 16 oz. - Final Rinse Solution. Final Rinse effectively seals the cuticle, preventing tangles and matting without softening the coat. After U Bathe delivers outstanding ease when combing and brushing while cutting drying time substantially. The Balancing Rinsing Solution by PinkPawPal provides skin irritation protection, reduces itching and shedding. Using natural ingredients from citrus products.Nourish and protect the coat and skin with Citrus. 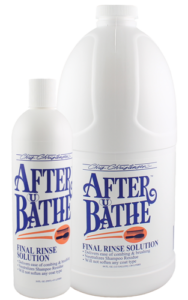 For removing residue from the bathing and conditioning process. 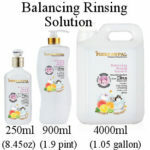 Balancing Rinsing Solution protects against skin irritation, itching, and shedding. Makes coats glossy. The Facial and Kitten Shampoo by PinkPawPal is safe for your pet’s eyes. 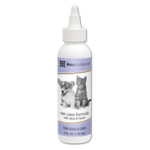 Gentle formula for sensitive skin and young kittens (0 to 8 weeks old). We use and recommend this product. Castle Baths - Healthy Coat pH Balancing Tearless Face and Body Shampoo - Breeders have found this shampoo to be the best all over body and coat shampoo - great for stain removal too! Lime Sulfur Dip - Effective against ringworm, mange, lice. Antimicrobial and antiparasitic. Easy-to-use, sponge on or dip. Concentrated formula - Mix 4 oz per gallon of water. Safe for use on dogs, cats, puppies, kittens and horses. Castle Baths - Popular! Castle Baths Anna Face Wash with a helpmate to lighten up stains- not by bleaching, but by pulling the stain out of the hair shaft. The more you use this Face Wash- the brighter you'll become. Use as often as you wish- the more you use this product- the faster the tear stains will disappear. No need to rinse! 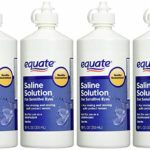 Equate - multi-purpose cleaner (for contacts) - This product is good for wiping the eyes as it works on the protein in the cat's tears which is what causes the "rust" colored tears and stains under the eyes. Betadine Solution mixed with clean tap water (so that it looks like weak tea). Ophthalmologists use this solution to clean cat's eyes as a disinfectant and my ophthalmologist recommended to me to use on my cats as a daily wash. 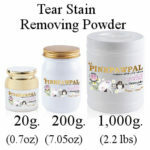 Tear Stain Removing Powder by PinkPawPal is for cats and dogs with tear stains. The delicate and fine powder adheres better to the fur, so a little goes a long way. The Tear Stain Removing Powder is very gentle, yet powerful, at reducing tears and inflammation around the eye area when used continuously. For best results, use in conjunction with our Eye and Facial Cleansing Concentrated Solution. Life's Abundance Ear Care Formula - Cleans ears and eliminates odor, dissolves ear wax and removes dirt and debris by bringing it to the surface. Ear Care Formula dries the ear but don't worry, there's no alcohol. It also soothes the ear during application and long after. 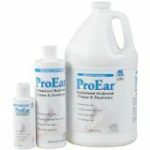 Top Performance ProEar Professional Medicated Dog and Cat Ear Cleaner- 16-Ounce bottle - ProEar professional medicated pet ear cleaner is the fast, effective way to loosen and dissolve ear wax and reduce odors. Medicated formula cleans and treats dogs and cats ears. Ear Cleansing Solution by PinkPawPal gently cleans ears and prevents mites. A natural formula containing Tea Tree Oil. Anti-bacterial, anti-fungal and protects pet from ear mites. Non-antibiotic and not greasy. Deodorise. Can be safely used daily. Chin Acne Soap - Many kitties find themselves with blackheads on their chins- this fancy bar of soap will cleanse the skin while removing impurities with aloe vera. Soothes while removing impurities. Stud Tail Cleaner with goats milk, lemongrass and dead sea salt to remove excess oil without stripping in those especially greasy areas- such as stud tail on your cats. Natural Soap bars for your Cats. Castle Baths is the only creator of soap of this kind! Simply use the soap on your cats fur as you would a regular bar of soap and rinse. Contains Lemongrass to help reduce oils. 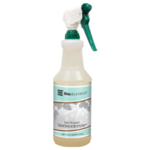 Floor Wash - This amazing product contains environmentally-safe and highly-effective cleansers in addition to microbial grease digesters to completely rid your floors of dirt, grime and odor-causing organic matter. Floorwash works extremely well on waxed and polished floors, hardwoods, glazed ceramic tile, concrete, quarry tile, even brick. Just one bottle contains enough concentrate to make 32 gallons of high-powered Floorwash! And best of all, it's non-toxic, fully biodegradable, has a neutral pH and contains no harmful phosphates. CET Toothpaste is specially formulated to be safe effective and appealing to your dog or cat. Contains the C.E.T. Dual Enzyme system to inhibit the formation of plaque. formulated specially for dogs and cats they contain no foaming agents and are meant to be swallowed. Flavors are well accepted by pets and make brushing easy. This is the dryer I am currently using. 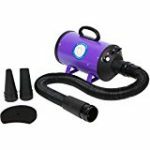 Metro Vacuum AFTD-2 Air Force Commander Two Speed 1.7-Peak HP Dryer - Metro Air Force Commander Compact Dryer You want more out of your dryer than just a lot of hot air. You want a dryer that saves you time, saves you work and leaves your dogs looking beautiful. That's the grooming advantage Metro Air Force Commander gives you. Metro Air Force Commander is a powerful floor/table dryer with two-speed performance, allowing you to groom large or small breeds with one dryer. Item includes: 6' flexible hose, airflow control, air concentrator, air flare and groomer rake. Metro Vacuum AFTD-3 Air Force Commander 4.0-Peak HP Pet Dryer - Metrovac's Air Force Commander Dog Grooming Dryer is one of the top dog grooming tools that professionals and non-professionals alike turn to for drying their short-haired dogs' fur without using heat that dries out their coats or makes them uncomfortable. The Air Force Commander is a combination of portability with highly efficient drying that gives you the power and speed of a large, commercial dryer with the compact design and ease of use of a portable machine, cutting drying time for short-haired dogs by two-thirds. Attachments: air concentrator, air flare tool, and a groomer rake. Also included with the Air Force Commander is a pair of Master Grooming Scissors. An extra long cord (12 feet) lets you plug in almost anywhere. 2 Speed airflow lets you customize the drying experience for small dogs and large dogs alike. Metro Air Force Steel Cagemaster Plus Pet Dryer, 4 HP - The Cagemaster plus is the safest way to cage dry your dogs quickly and thoroughly. The powerful 4.0 peak horsepower motor generates a high volume of warm air. Six foot drying hose is extra large in diameter, a full 2 1/2" so it can carry a gale force air into cages. Because there is no heating element, Cagemaster plus won't overheat or dehydrate your dog. There's no hot air to injure a dog's scalp or coat. 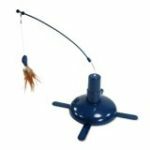 Cagemaster plus is constructed of durable steel, just hook it onto the cage and it does all the work. This product carries a shipping weight of 17 pounds. 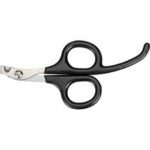 I love these nail scissors/clippers and only use this kind! 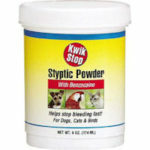 Kwik-Stop Styptic Powder .5 Ounce - a quick and effective way to stop the bleeding caused by clipping nails and dewclaws. If you are clipping your own cat's nail, having this product is a MUST! Go Pet Club Brown 28" Cat Tree Condo - Color: Leopard. 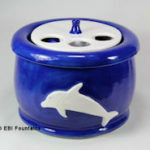 Size: 18"W x 17.5"L x 28"H. Size of round house: 10" Diameter x 12" Length. 2 Hanging balls included. (Front) Bottom post can turn. Posts covered by natural sisal rope. Board covering material: Faux Fur. Board material: Wood. Easy to assemble with step by step instruction and tools included. Molly and Friends Tall Sisal Scratching Post - Our extra large carpet and sisal scratching post is just the right size for any cat to tear into. The carpet is high quality and the all natural sisal rope is heavy duty and stands up to even the most dilligent scratching. The wood post underneath the sisal is made of solid pine, so it won't bend or wobble like cardboard built scratchers. This handmade unit arrives fully assembled and sits on an 18" x 18" weighted base. It is 32" tall and comes in a beige color. Armarkat B5701 57-Inch Cat Tree, Ivory - CAT DADDY APPROVED. Overall Dimensions: 28"(L)X25"(W)X57"(H). All scratching posts are wrapped in 100% cured sisal for long-lasting scratchability. House Dimensions: 15"(L)X14"(W)X12"(H). Max Holding Weight: 40 lbs. Go Pet Club Cat Tree - 72 in. - Keep your cats off your furniture with Go Pet Club's 72" Tall Beige Cat Tree. This cat tree features three perches, two condos, and two toy mice. It has plenty of room for your cats to play and lounge. With 10 posts covered in sisal rope to scratch on, your cats will leave your expensive furniture alone. Premium Extra Large Cat Tree - 80"
Go Pet Club Huge Cat Tree - Beige Color - This 106” cat tree castle will keep your feline friends busy and entertained. This cat tree offers a unique design with nine elevated platforms and three large condos which can accommodate multiple cats. It is made from highly durable compressed wood covered with high quality Faux Fur to keep your pets warmed and cozy. Multiple scratching posts are covered by natural sisal ropes which is perfect for your cats to scratch, climb, play and become active. Other features such as ladders, hanging toys, baskets and perches are added for more excitement. This cat tree is easy to clean, and it requires minor assembly. The Litter-Robot™ frees you from the chore of litter box scooping. You can be confident that your cats have a litter box that is cleaned automatically and reliably, again and again with no rake which can trap or injure their paws. For pets 5 pounds and up to approximately 15-20 pounds. 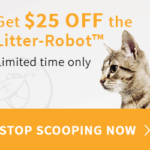 Click on the picture to check out the Litter Robot website and get $25 off the last Litter "box" you will every purchase! I have three of these and highly recommend it. I love it - but more importantly so do our cats! Petmate 22026 Jumbo Hooded Litter Pan - Great cat litter pan, that will provide your cat with the highest quality litter needs. This hooded, litter pan for cats, is jumbo sized to accommodate all your cat's needs. Made from micro ban which helps fight the growth of stain, and odor causing bacteria, mold, and mildew. Pan has great durability. Great size, and will be sure to please. Measurements for litter pan are 22" inches x 18" inches x 18.5" inches. Comes in assorted colors, hood almond, pan sand, and crystal. Meow Town Stainless Steel cat litter scoop - These Meow Town Stainless Steel Litter Scoops 6-Packs are perfect for multi-cat households. Each Meow Town Stainless Steel Litter Scoops 6-Pack includes two pink, two blue, and two green scoops. • Each quality-made, 14"-long scoop features a slotted design with a long, brightly colored handle Material: Stainless steel Size: Each Litter Scoop measures 14"L x 5"W.
HDP Cat Litter Scoop - Stainless Steel - This litter scoop is a durable stainless steel scoop for cat litter boxes. The slotted design and long handle makes cleanup easy. Made from long-lasting stainless steel and plastic. Each includes a hangtag. Measures 14-inch length. We use and recommend Fresh Step - Scoopable litter. Precious Cat Ultra Premium Clumping Cat Litter. This a multi-cat household litter and works wonders. We also use and recommend this litter which is also from Dr. Elsey. Hypo-allergenic, All natural, Hard clumping, 99.9% dust free, Superior odor control. Dr. Elsey's Cat Attrack Litter - We use and recommend this product as a litter that eliminates litter box mishaps for those cats that have a problem consistently using their litterbox and for litterbox training for kittens. Great training litter, All natural, Hard clumping, 99.5% dust free, Superior odor control. Precious Cat Dr. Elsey's Kitten Attract Scoopable Cat Litter - Multi Kitten formula, the first and only litter specifically designed to train kitten's to use the litter box guaranteed. May be used in mechanical litter boxes and it controls odor naturally without perfume, deodorants or chemicals. 20 lbs. 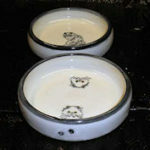 Please note: We use either stainless steel bowls or the ceramic bowls made by Charlie's Critters. Hand made by Charlie's Critters. 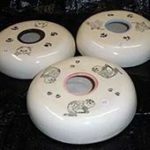 These bowls are the perfect water bowl for Persian cats (if you are not using a water bottle) as the bowls are designed so that the cat does not stick its whole face in the bowl and then get its front wet, stained, and/or matted. We use the two smallest sizes: Small (1/8-1/4 cup); Medium (1/3 cup) - Dishwasher safe. Hand made by Charlie's Critters. Canned food dish with indented lip to prevent the food from being pushed out and over the top of traditionally shapped bowls. - Dishwasher safe. 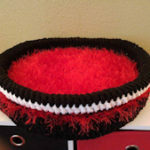 The Mound - Just like the Beehive Water Bowls, the "Mound" is uniquely shaped - your pets can easily take a drink, but only their tongues can fit in the bowl keeping their fur dry and clean. Ebi Fountains - Custom-made, pet safe, water fountains. We have one of these fountains and are very happy with it. Feed Safe™ - Protect your pet's food with the portable Feed-Safe™ feeding station. Food and water mess is contained, and dome is easily removed for cleaning. 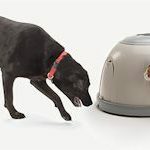 Adjustable sliding door locks into position, allowing your smaller pet into the dome while keeping larger pets out. A one-way flip-door located on the side lifts for a quick alternate egress if the entrance is blocked or closed for secure feeding. Includes two 1-quart stainless steel bowls. 2-year limited warranty. 16" tall x 23" wide and the door opening is 7.5" by 9" at its largest. 5 STAR AMAZON REVIEWS (Over 500): Amazon users have spoken and they LOVE the KittyStick. What do they like? Watching their kitty soar through the air and having the time of their life! NEW AND IMPROVED: Longer lasting and more durable than before. What fun is a fishing line toy if it breaks after one hefty pounce? This ultra-strong line provides nearly endless fun & won't snap or tangle like some other toys. 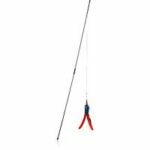 Simulate "bird-like" flight with the telescoping extendable design. What cat could resist that? 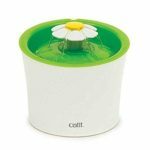 Hagen Catit Design Senses Play Circuit - Combine this toy with the Catit Design Senses Speed Circuity (shown above) for even more fun! Kitty Play Cube - Five Star Reviews!! Camera requires stable internet connection at home and on mobile device. Real-time 1080p HD video with a 138 degree wide-angle view, night vision, and 3x digital zoom. Easy setup via the free Petcube app for iOS and Android. No monthly fees required, and includes a 30-day free trial of Petcube Care cloud video recording service with 10 day history. Camera requires stable internet connection at home and on mobile device. Two-way audio to talk to and hear your pet. Sound and motion notification alerts for pet and home security. 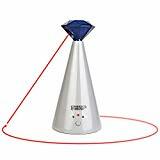 Built-in laser toy controlled from your phone, or set to autoplay mode to regularly play and exercise your pet. Share access with friends and family, and capture video and photos clips. OUR CAT'S NEW ACTIVITY CENTRAL: Stimulate your pet’s playful nature by providing a creative new space for your pet to explore! 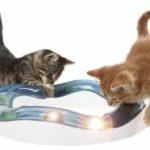 eenk.’s Cat Tunnel tube playset will provide your pet with daily entertainment and a good place to hide. 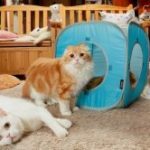 FULL SET: Our product is not just any toy - The play set comprises of a play tunnel tube and two detachable cubes for you to utilize according to your household space and your pet’s needs. We also provide a handled bag for easy storage. Provide your pet with safe personal spaces around the house! PURPOSEFUL DESIGN: Our Tunnel playhouse made of crinkle crackle paper and bright vibrant colors. Specifically designed to attract your pet’s interest and pique your pet’s curiosity. WE'RE SEEING TRIPLE: Be ready for 3 levels of ball-spinning fun with the Petstages Tower of Tracks cat track toy. • MORE IS MORE: There's no shortage of fun when it comes to Petstages Tower of Tracks! Expertly designed with 3 levels of tracks and 3 brightly colored balls, this cat track toy elevates playtime and interactive play with your cat. 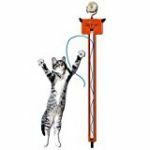 • KEEP YOUR EYE ON THE BALL: Equipped with 3 differently designed balls, the Tower of Tracks by Petstages stimulates you cat's senses and excites their mind as they work to bat at every ball. Unique to this cat track toy, the balls will not come loose during play and will securely spin across the tracks for repeated fun. • SHARING IS CARING: With more levels for more fun, Tower of Tracks by Petstages allows you to play with your cat and your cat to share in the fun with their furry friends. • FOLLOWING THEIR INSTINCTS: Petstages Tower of Tracks is the puurfect way for your curious cat to get the mental and physical exercise they need to stay healthy and engaged from day to day while channeling their hunting instincts as they chase down the fast-moving balls. 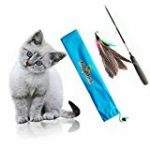 For more suggestions for interactive cat and kitten toys, please click on this Amazon link. Kitty Sill - K&H Deluxe Bolstered Kitty Sill for cats. The bolster is covered with an attractive, soft poly/cotton kitty print. The inside is lined with soft velvety micro fleece. The bolster zips off and can convert into a plush kitty sill. If your kitty wants to cuddle, they can have all the advantages of looking out the window and feeling the sunshine while having the security of a bolster. Kitty Sill -Kitty Sill is the sturdiest window perch for cats on the market. It has advanced engineering for strength, ease of assembly, and for an asthetically pleasing oval design. Includes two methods of attachment to the window sill: Velcro for easy removal from the window sill, and screws for a more permanent attachment. Supports over 40 lbs. Many indoor cats love the soft and comfortable feel of this kitty sill. Feliway Pheromone Spray - Convenient Spray Bottle to help ease the anxiety of travel for your cat. 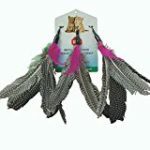 Helps to comfort both kittens and adult cats in stressful situations. 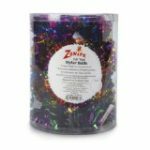 Reduces the stress of a new environment, loud noises such as thunder, sirens and fireworks, and family or animal additions. Calms your cat to reduce or stop scratching, biting and urine marking. Feliway Plug-In Diffuser with Refill, 48 Milliliters - Feliway® creates a state of familiarity and security in the cat's environment by mimicking the cat's natural facial pheromones. This comforts and reassures the cat while they cope with a challenging situation (i.e., changes in the household, adding a new cat to the household, etc.) and/or help prevent or reduce the stress caused to a cat during that change. Feliway® comes in a spray or an electric diffuser. PROTECT YOUR FLOOR FROM PET SPILLS: 17.5 x 14 Inch surface area and raised 1 inch edges serve as a spill containment tray to protect your hardwood and carpet floors. PERFECT FOR YOUR PETS: Is your cat or dog a messy eater? Say goodbye to messy spills from dog & cat food. The solid, spill-proof polymer and raised edges keep the food and other debris contained within the tray. HIGH QUALITY ECO-FRIENDLY, PET-FRIENDLY: Made from 100% recycled polypropylene. Safe for the environment and for your pets! STYLISH & EASY TO CLEAN -Wash it down with a hose or rinse it in the sink! It's clean and ready to use again. The modern, patterned material and chic colors compliment any home décor. These mats come in few diffenent colors. I feed and recommend Life's Abundance cat food, grain free cat & kitten food, canned cat food, cat treats and supplements for cats and kittens, and Sealogix fish oil for cats.